One of the worst days of Stephen Gebhardt’s life quickly turned into one of the best for him and his company. The former marketing executive was in the midst of launching an apparel company and was just starting to earn significant buzz surrounding his early products when a cease and desist letter came out of left field. The letter was from FOX, and the entertainment giant told Gebhardt that he better quit producing shirts with logos from the popular 1993 movie The Sandlot or deal with the consequences. Instead of entering into a fight that Gebhardt probably would have lost, he decided to attempt a negotiation of rights to the logos from The Sandlot as part of a licensing agreement. The parties worked out their differences and the rest is history. Gebhardt’s RSVLTS brand not only sells apparel bearing images from The Sandlot, but has since struck deals with MGM for Rocky, Paramount for Major League and another agreement with FOX for Rookie of the Year. He says that there is another creative licensing arrangement in the works as well. The company essentially takes legendary sports films and lets consumers wear the nostalgia of cult classics literally right on their sleeves. The Sandlot inspired apparel often opens the door into peoples’ houses, they become great conversation starters and then customers tend to end up ordering a lot of the company’s original RSVLTS design. RSVLTS is now approaching eight-figures in revenue per year and is shipping out thousands of orders per month. The company was 100% direct-to-consumer until about June, when it launched a “Shop Local” campaign, partnering with mom-and-pop local retailers. It already has sixty retail partnerships; the goal was merely twenty in 2018. It has at least doubled its business every single year since 2015 and projects 300% growth for 2018. All that growth has been accomplished without Gebhardt taking a dime from any outside investor since RSVLTS beginnings. A large catalyst for growth has been publicity garnered through use and sharing by athletes and celebrities. 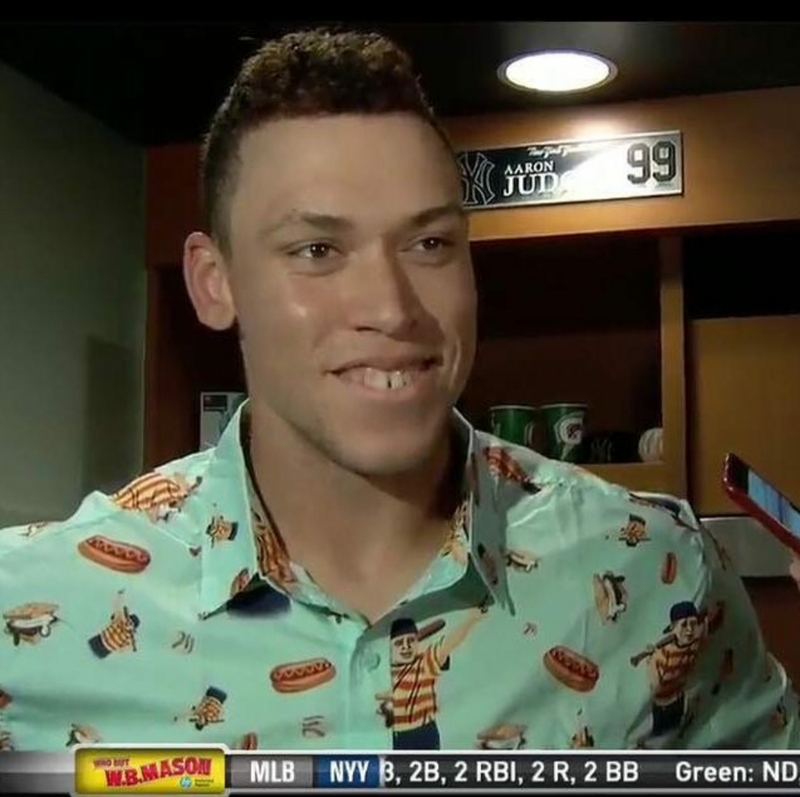 For instance, Gebhardt sent one of his shirts to a generic New York Yankees stadium address and was pleasantly surprised to discover Yankees’ slugger Aaron Judge wearing it in a post-game conference right after he hit a monster home run. Gebhardt notes that Major League Baseball’s Bryce Harper and Anthony Rizzo are superfans of his products. They are products that Harper and Rizzo would not be able to wear but for Gebhart’s intelligent response to an early demand from FOX.